Ruiter Constructions | Contact Us - Ruiter Construction, LLC. Contact us at (702) 252-4069. 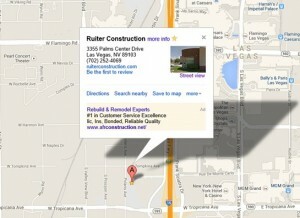 Contact Ruiter Construction for your project consultation and design analysis. We’ll arrange a time to come to your project location, listen to your ideas, learn what you’d like to achieve, your budget and your timing.